The answer is yes! As Jon says, we have all naturally occurring violent thoughts. Violence is a thing that exists and we have all kinds of thoughts about things that exist. People without OCD experience these thoughts too. From the research and Jon’s work with clients, he relates this to patterns with which we evaluate our thoughts. Someone with Obsessive Compulsive Disorder (OCD) looks at thoughts through a certain lens: appropriate or inappropriate, okay or not okay, etc. People without OCD are generally able to let go of the thoughts, while someone with OCD thinks that it is a problem that they had the thought. Now, they think that have a moral obligation to do something about the thought. This is still OCD! The content of the obsessions is different, but it involves unwanted thoughts and compulsions. You are not weirder or harder to treat for having Harm OCD. What is the difference between Harm OCD and having thoughts about harm? While we all have thoughts about harm, OCD is a disorder. You are stuck in a loop that feels never-ending and it feels incredibly hard to get unstuck. The obsessions of OCD become a part of your identity and they really hook you. Your life is passing you by in the process. I really enjoyed this episode with Jon and truly hope that it helps those experiencing harm obsessions: thoughts, images, urges, impulses (Harm OCD). 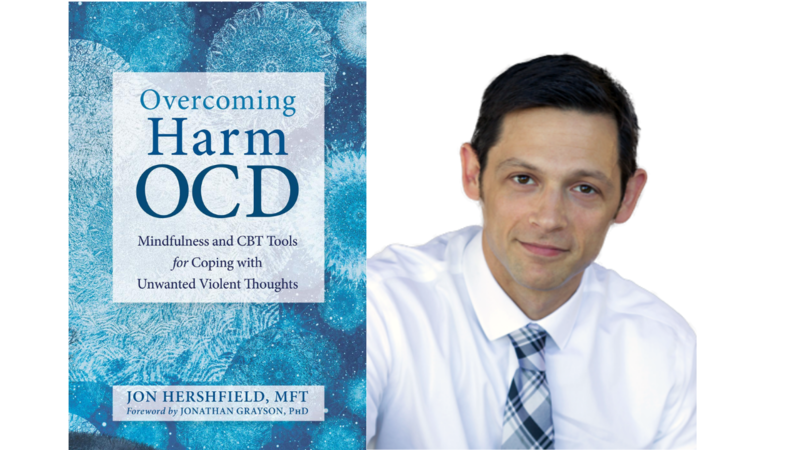 Click HERE to get more info on Jon’s most recent book, Overcoming Harm OCD: Mindfulness and CBT Tools for Coping with Unwanted Violent Thoughts. In this book, Jon focuses on violent obsessions in particular. He addresses the fear of harmful identity, fear of impulsively harming someone else, fear of impulsively harming oneself, fear of impulsively harming one’s children. WE ARE SO EXCITED TO SHARE THE GOOD NEWS WITH YOU…A HUGE SURPRISE! Starting yesterday, January 28th, 2019, CBT School is offering our FREE webinar called 10 THINGS YOU NEED TO KNOW ABOUT OCD.” This FREE online video course explains exactly what Obsessive Compulsive Disorder (OCD) is, the treatment for it, and the complicating factors that can come up during the process. The webinar is available for one week ONLY and will run every day at 6:00 pm PST. Do not worry if you are not able to attend at 6:00 pm! The day after signing up, you will receive a free replay in your inbox and you can watch it at a time that is convenient for you. We are thrilled to be sharing this FREE educational resource with you! There are also a variety of downloadable PDF’s that you can access in the course, along with activities to help guide you in best applying ERP to your specific obsessions and compulsions. 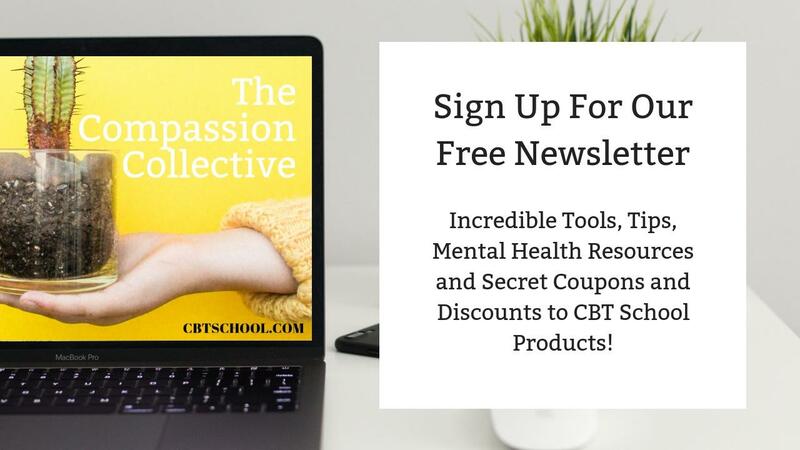 We are so thrilled to share ERP with you and, if you are not already, would love to have you join us and the CBT School Community. Some of you may be worried about doing it along, but please don’t fret. We meet twice a month on Instagram and the Facebook group to address any questions that you may have. Click HERE to sign up for ERP School. It's a beautiful day to do hard things!